What the heck is a Barnstormer Saison IPA? I have no idea.. but I assume it's a Belgian-style IPA with saison yeast. 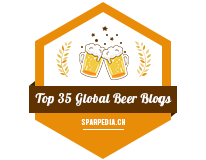 Phillips really likes to do Belgian-style IPAs, but I find Belgian-style beers mashed into IPAs are always difficult, as I've said a trillion times on this blog already. 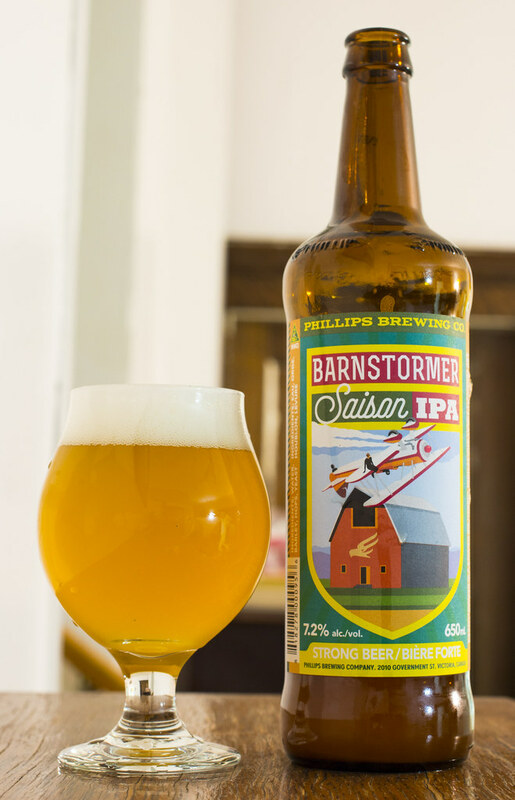 Appearance: Phillips' Barnstormer comes out as a thick orange/blonde ale, very cloudy as it's not transparent at all. The beer pours a thick amount of white head but diminishes quite quickly. There's a good amount of carbonation, for the most part.. it looks like a typical saison in my mind. Aroma: It has a yeasty saison at mind but it also has a moderate bitter hop note to it. I'm noticing the typical Belgian saisony yeastiness which gives off a rich aroma of lemon, bubble gum and moderate sour notes. This is quite a bit fruitier than your standard saison as it has a really tropical fruitiness in it: lots of pineapple (in fact.. more pineapple than lots of tropical influenced IPAs out there) and apple and crab apple. Honestly it's a bit too fruity in my mind. Is it hoppy? It has a light amount of leafy hops which give it a bit of a lettuce aroma, but that's about it.. unless if you also consider the tropical notes. Taste: It's a fruit cup cocktail.. lots of pineapple followed by avocado and apple.. and eventually lemon. Somewhat yeasty, very minimal on the hop front but has a bit of a grittiness on the back of my palate that can only be described as the taste of graineries. Acidic on the palate and has a watery yet rough mouth feel. Overall Thoughts: I like it, it's a nice fruity wheat ale, but like many Phillips' beers, it's not what I would expect it to be. I love the really fruity & tropical notes, yet was expecting more from the hops and more balanced flavour in the saison field. 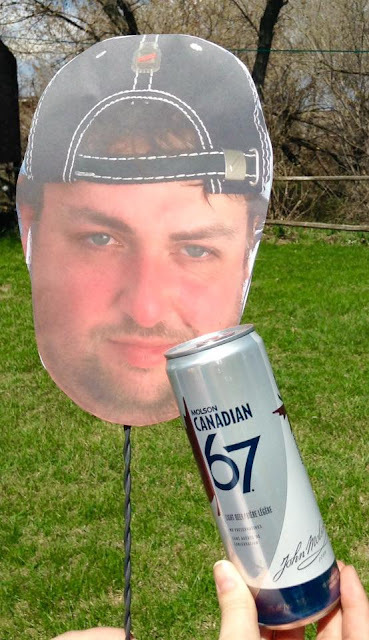 I do wish their Wheat King hefe came to Manitoba already.. what's taking them so long to get it to the Wheat City?